Are you looking for some variety in your alphabet instruction? During the summer I avoided the steamy 100+ temperature by sitting inside reading No More Teaching a Letter a Week by Rebecca McKay and William H. Teale. Under the cool vent of the AC, I was struck by how many times the authors mentioned that kids benefit from varied and repeated exposure and practice with the alphabet. I know that I like a little variety when I learn. How about you? There is no need for you to search all over Pinterest for a bunch of activities that will interest your kids. Today, I’m excited to tell you about the 9 different activities that are included in my Super Alphabet Bundle. The wide variety of activities will give you the opportunity to work on alphabet knowledge in many different ways with your kids. 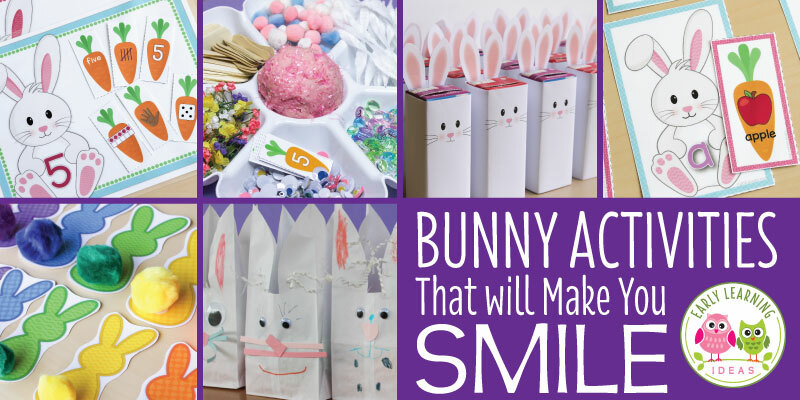 Plus, you can even sample the printable activities. The first activity that I want to share is alphabet dot pages. These printable alphabet dot letters can be used to work on letter recognition, letter formation, and letter-sound knowledge. 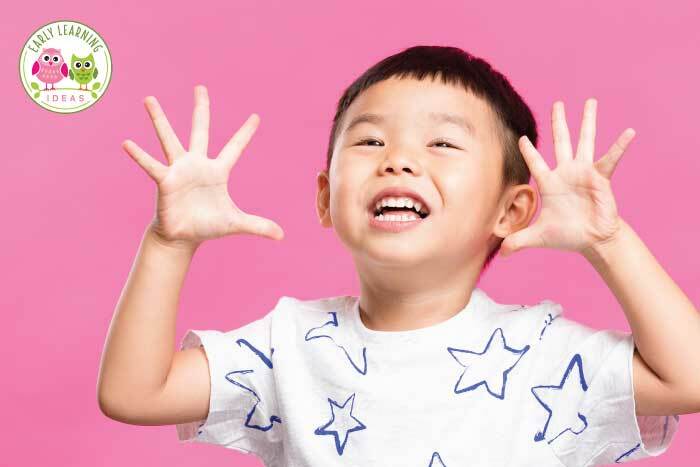 Kids can trace the letters with their fingers to learn to recognize the unique features of each individual letter. I love that this activity can also be a great fine motor exercise. Kids enjoy placing stickers, loose parts, or sticky fingerprints in each circle of the letters. 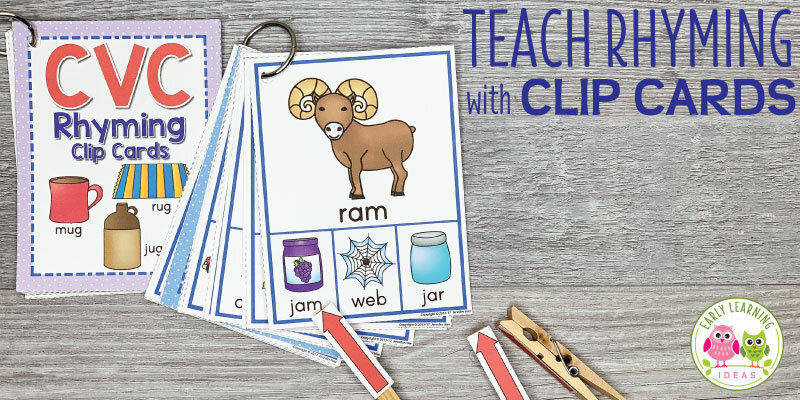 Next, you can create a print-rich environment in your classroom with word wall cards. The alphabet header cards in this word wall set are large, square cards with a simple border and large letters so that kids can focus on what is important…the letters. Each word card contains a word in a large, clear, simple font along with a simple illustration…..again clear and simple. You can also create name cards or custom cards for your word wall. Kids love seeing some environmental print cards up there too. Because of the trademarked logos, I can’t add environmental print cards to the printable set. But….let me share a secret…..
You can make them by using a logo image in place of a child’s photograph. Have fun creating them….teachers proudly displayed the Ohio State logo on our word walls when we lived in Columbus, Ohio. In addition to using the set as a word wall, you can use the resource in pocket charts, on word rings in your writing center. You can also use the word cards and alphabet header cards as a sorting activity, for a word scavenger hunt, or as a matching game. Giving kids the opportunity to produce letters will help them learn to recognize the letters. This alphabet tracing activity set includes several different cards to help kids learn to produce letters. Finger Tracing Cards – Finger tracing cards provide a great way to help children learn the differences among the letters. A starting dot serves as a visual reminder on where to start letter formation. Kids can finger trace directly on the cards or can use the cards as a reference as they reproduce the letters in a salt tray, on a blank wall, or in the air with their magic finger. Do you want to know how to put together a salt tray? Check out this salt tray post where for some great ideas to make an exciting salt tray for your kids. Alphabet Tracing Strips – The set also includes 3 sets of alphabet tracing strips so that kids can also practice letter formation with a real-life writing instrument (not a magic finger). Some children may find it easier to see their writing on top of the yellow letters, some children may enjoy the challenge of trying to keep their writing within the lines of the outlined letters. Use the style of tracing stripes that are best for your kids. Don’t Distract Me – Arrows and numbers on tracing letters easily distract me. I prefer to use a simple green starting dot on my tracing activities. The dot provides a visual clue to help kids know where to begin when forming letters. These editable pages provide endless letter activities for your kids. 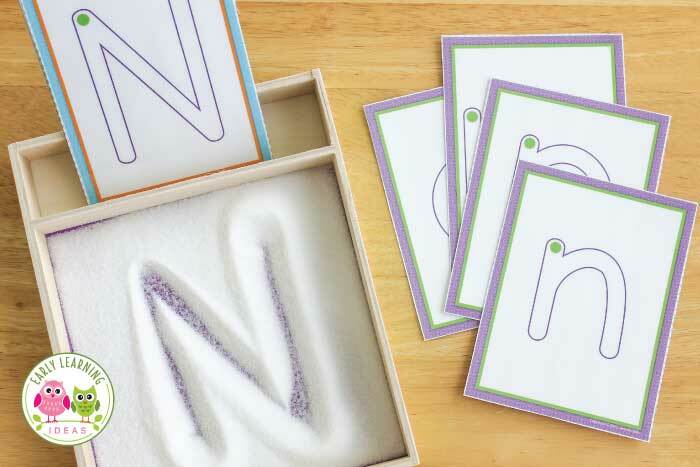 Practice letter recognition and phonemic awareness in creative and multi-sensory ways. The full set contains lowercase and uppercase editable letter pages, uppercase and lowercase pages without text, 1 full-color editable cover page, and 1 black and white editable cover page. These letter sheets are my favorite alphabet activity because there are so many ways to use them. Create an alphabet book by binding a cover together with ABC pages. Make a tactile alphabet book and let kids finger trace the letters. 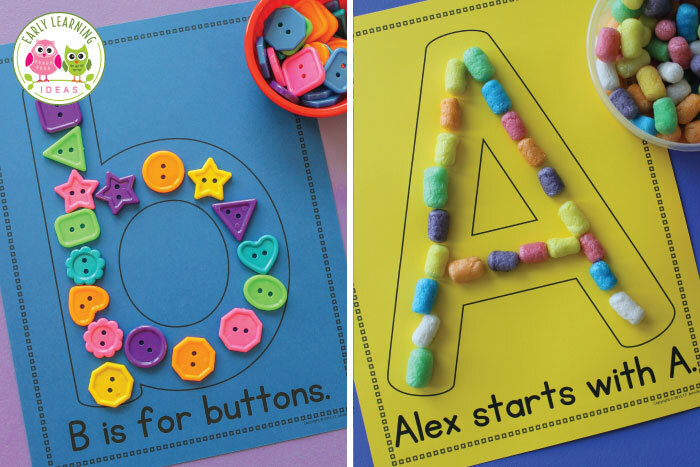 Make alphabet pages featuring your kids’ names. Create a class name book. Use the sheets, along with small manipulative or toys, as play mats or play dough mats. Create letter activities or art/craft projects with the letter sheets. Use the sheets without text as coloring pages or take-home pages. If you want to use materials that coordinate with each letter of the alphabet, check out this article for a HUGE list of material ideas for your letter activities. If you are looking for an easy printable that provides multi-sensory opportunities to practice letter recognition, letter formation, and letter-sound association …all on one page…this is it. The full set contains 26 full-color alphabet mats and 26 black and white alphabet mats. Each alphabet mat contains five sections. Alphabet Square – Children can finger trace the large letters or they can place a coil of play dough, wikki stix, or small objects on top of the letter. They can also color the letters. Uppercase Alphabet Line– Encourage kids to search for and circle the focus letter among the other letters in the alphabet. Beginning Sound Examples– Review the objects pictured with your kids. Name the objects and listen for the beginning sound. Practice the sound associated with the letter. Kids can also search for the letter in each word, and/or circle the letter in each word. Kids can color the pictures on the black and white version. Letter Formation Practice– Here is an opportunity to trace letters and write letters on the lines. Lowercase Alphabet Line- Finally, kids can search for and circle the focus letter among the other lowercase letters in the alphabet. Little letter books are simple, uncluttered, and are a great way to help kids understand print. The simple, predictable text and pictures are easy for kids to read aloud. Your kids will have the opportunity to practice letter recognition and phonological awareness. Print the full-page book and use in the class library and print off the little books for a literacy activity that you can send home with your kids. Each little book contains a cover, 2-3 picture pages, and a letter tracing page. Kids can finger trace, color or use rainbow writing on the large letters on the cover of each book. There is simple predictable text on each picture page. Kids can read the sentence on the picture pages, circle the letter within the sentence, and color the pictures. The letter formation page provides young children an opportunity to trace and write both capital and lowercase letters. A simple starting dot is a great way to help kids learn letter formation without other distractions. Busy teachers appreciate that the little books are easy to assemble. Check out this video to see how easy it is to assemble four books in a snap. Try an I Have, Who Has…. game to practice the skills of letter recognition and letter-sound association with a group of young children. Like the other resources, I made the letters large, clear, and easy to recognize. The letter on top is highlighted in yellow and is a different color than the letter at the bottom. This helps young kids understand which letter they need to listen for as they play the game. This ABC picture sort activity gives children the opportunity to practice phonemic awareness skills. 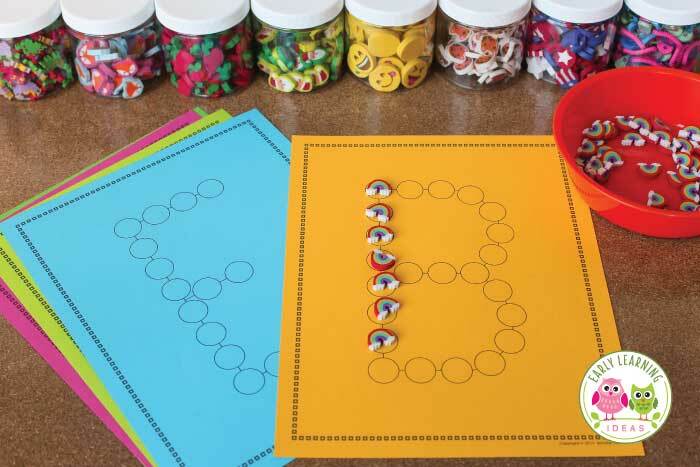 The beginning sound sorting activity includes a complete set of uppercase and lowercase letter boards as well as 52 picture cards (2 for each letter of the alphabet). You can assemble the cards so that they have the name of the pictured object written on the back side. 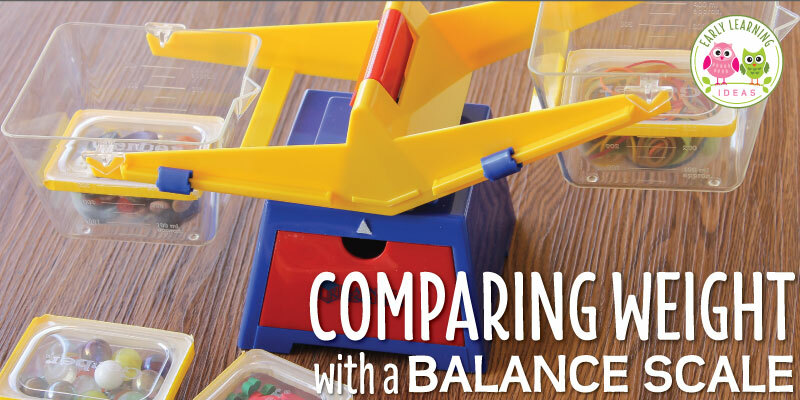 Ideas for sorting activities and small group games are included. Finally, these coloring and activity pages will provide children the opportunity to practice letter recognition, letter-sound association, and letter formation. I designed the pages (like many of the activities) in a simple manner so that young kids will not be overwhelmed. The pages are no-prep….just print, copy, and go! Flexible Options! These activity pages come in half sheet and full sheet sizes. There are two pages for the letter “X” (one with x as beginning letter and one with x as an ending letter) There is one page for all other letters. Use the pages individually or bind them into an alphabet activity book. Laminate the pages to use them over and over again in a writing center. Kids can perform the following activities on each page. Don’t forget to find the hidden letters! Color or finger trace large letters. Reinforce letter-sound awareness as they “read” and color pictures for each letter. Trace uppercase and lowercase letters. Print uppercase and lowercase letters. Sample These 9 Activities Today! How’s that for a variety of alphabet activities for preschoolers?